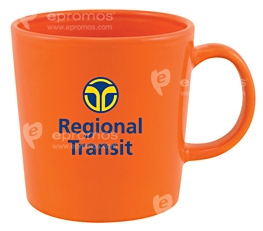 This 12 ounce ceramic coffee mug has a comfortable C handle. It’s dishwasher and microwave safe. Pick your glossy color of red, white, blue, black or yellow.